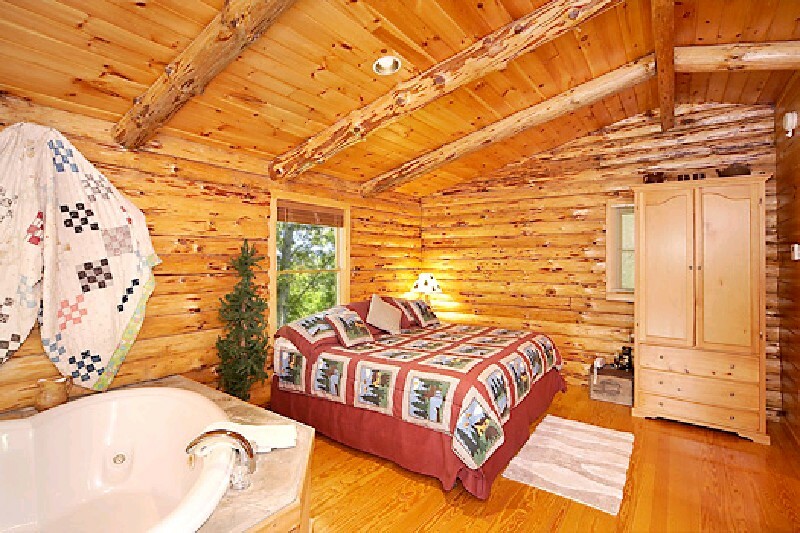 Located in Pigeon Forge, Tennessee, just outside the Great Smoky Mountains and Gatlinburg, the Honeymooners Dream, one-bedroom cabin is the perfect log cabin for honeymooners or those sweethearts looking for the ideal romantic cabin. As you enter this cozy retreat your eyes immediately focus on the over-sized heart-shaped Jacuzzi. This log cabin has a vaulted ceiling, king-sized bed and living area with stone hearth accented by a gas burning fireplace. 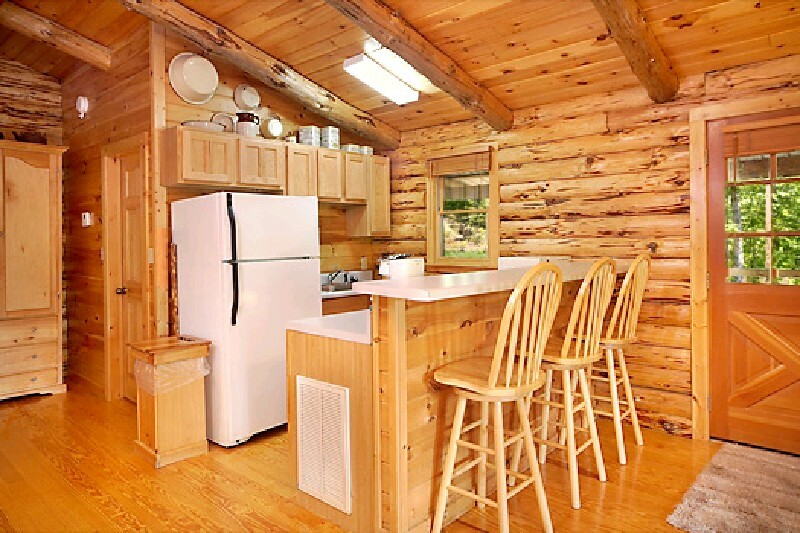 The fully equipped kitchen is ready for cooking up romantic meals with ease or you could throw a steak on the outdoor BBQ grill. Snuggle up on the Reclining love seat enjoying the gas fireplace and watch a good movie on the big screen TV. 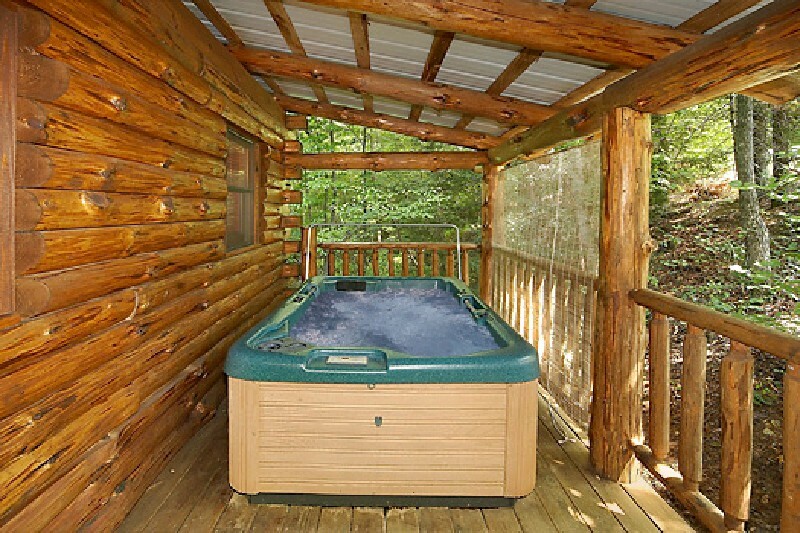 Best of all, just outside situated on your covered porch awaits a bubbly hot tub, made for 2. That's the perfect way to relax after an action packed day in Pigeon Forge. Our stay in Honeymooner's Dream was excellent. The cleanliness and the location of the cabin were terrific! Can't wait to visit the area, and Maples Ridge, again! Very clean and cozy! 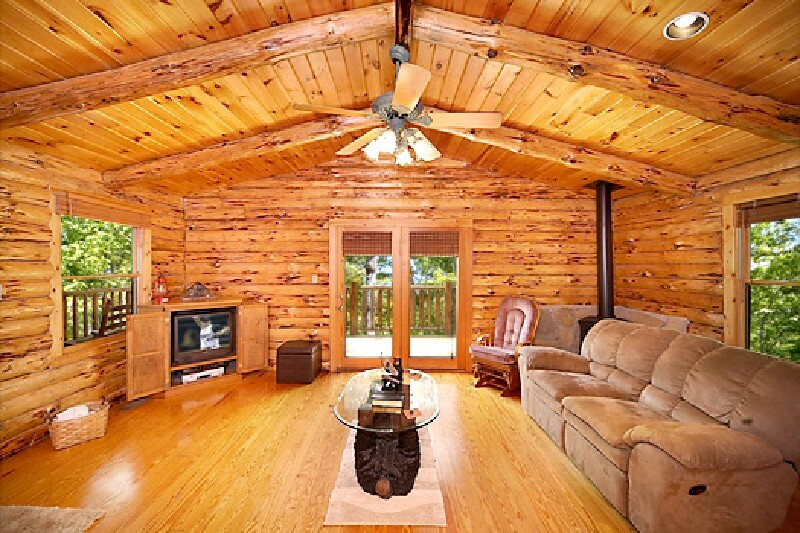 Great location, close to Pigeon Forge. We will definitely be coming back to stay. Had a wonderful stay at your cabin! We really enjoyed the Jacuzzi and how close it is located to all the attractions. We thought it was very nice that we received a phone call to make sure we were comfortable and didn't need anything. We will definitely stay with Maples Ridge the next time we go to Tennessee! First time staying in cabin. The cabin was very clean and cozy. Had everything we needed to feel at home. We loved the reclining sofa. The view of large trees was marvelous. The hot tub was so relaxing after a busy day seeing and doing everything in Pigeon Forge. Staff was friendly and very helpful. Beautiful cabin! All towels and bed linens included. We also had plenty of garbage bags, toilet paper, dishwasher soap for our 3 nights. Great couple vacation and location. Close to everything Pigeon Forge. Peaceful and quiet. Really enjoyed our stay and after enduring all the tourist attractions during the day it was nice that the cabin was secluded yet still close to everything.So it was great that we didn't have far to go to relax and unwind. The cabin itself was very clean and well stocked with pots and pans and everything needed for cooking and everything was in great working order and was as we expected it to be. We didn't have any issues arise and will definitely recommend to friends and will also be back ourselves in the future. It was very beautiful. We had the best time here. Nice & peaceful. Definitely will book again in the future. The property was wonderful. Very well kept, clean, and comfortable. Would definitely recommend this as a perfect getaway. This cabin was perfect for me and my husband! It was nice and private, yet close to many attractions. I definitely recommend staying here. The cabin was clean & had everything we needed. We enjoyed the hot tub but wished it would have been a bit hotter. It was located near all the nearby attractions. Which made it convenient & was far enough away from everything to be private. We enjoyed the beautiful mountain views. t was great! Everything was very clean and the cabin was super cozy. 1805 Wears Valley Road, Pigeon Forge, TN, 37863, United States Date of Stay Mar 12, 2017 I loved everything about this place. I would definitely stay here again in the future. It was a great experience. 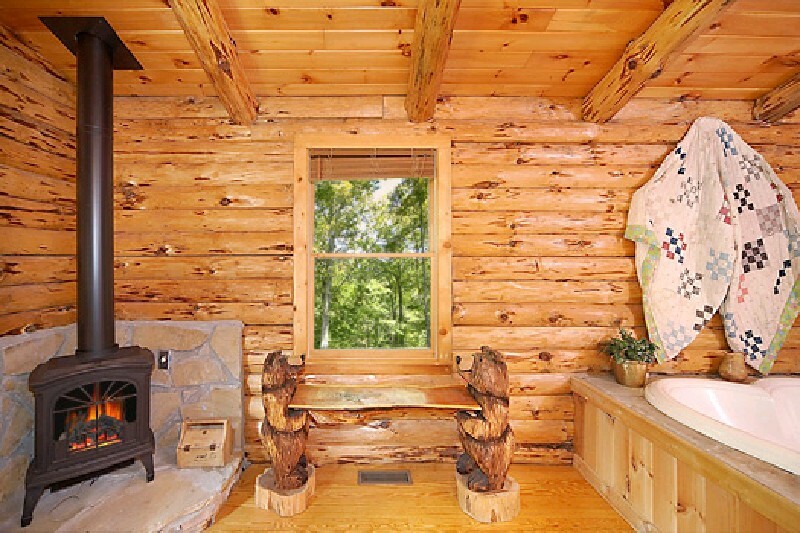 The cabin itself is a beautiful, one room dwelling that is rustic and full of charm. Though simple, it was exactly what I needed. I was looking for a peaceful getaway to myself and that is exactly what I found. The cabin had everything I was looking for and more. I wanted to pamper myself with a hot tub and ended up with a nice warm soak in snow covered surroundings and a Jacuzzi tub inside when I didn't want to go out. I had a full kitchen that had everything I needed to prepare a wonderful meal. I had a fireplace for the cold days, and being East Tn., I was able to open the windows for a nice breeze during spring like weather (yes, I got there in single digit and teen temps and left in the mid to upper sixties). The bed was comfortable and I slept very well. The overall cabin was very clean and comfortable. I had everything I needed and could want. There is cable for television viewing as I ended my day...had I thought, I could have brought some DVDs. Wifi is available, though I didn't really want to be online other then to check my phone on occasion. I was able to just relax in a nice comfy recliner and read...which was my sole purpose for my trip...to reboot and start the new year fresh. The staff were very friendly and so helpful when we were unsure of the weather. Everyone was so accommodating...even when I called and had to ask how to take the top off of the hot tub. I would recommend this place for someone that wants to just get away from it all, share it with that someone special, or a quiet start to the rest of your lives together. The location of the cabin is also nice. 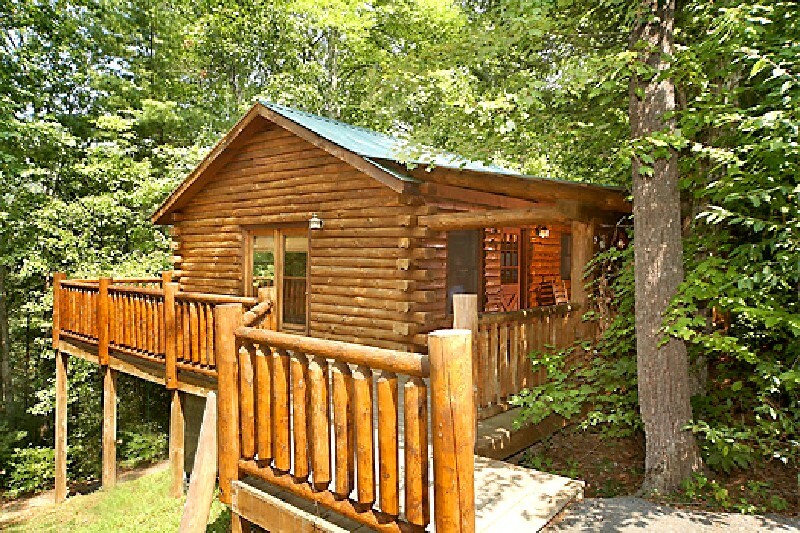 Though situated in a secluded and wooded area, it is close to fine dining and shopping in Pigeon Forge and Gatlinburg. 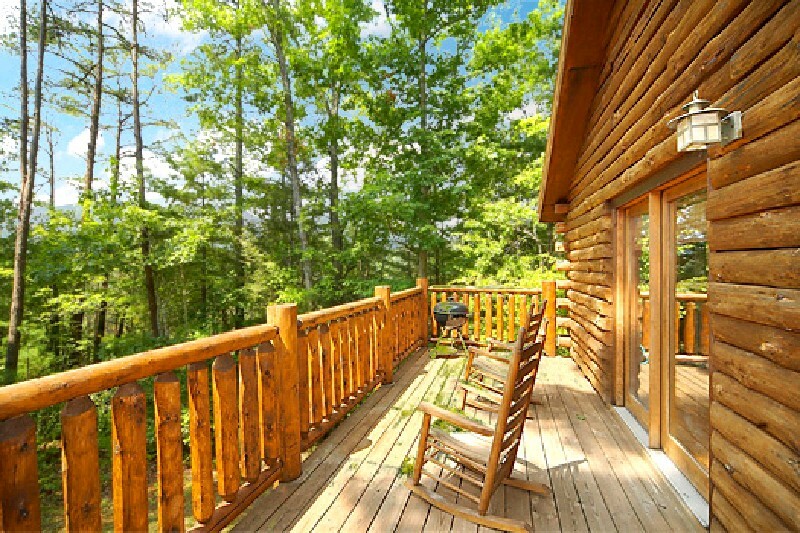 It is also close to the Townsend side of the Smokies for continued relaxation away from the hustle and bustle of the tourist crowd. I don't know what else I can say...it was wonderful and I enjoyed myself completely. I'm already planning next year. 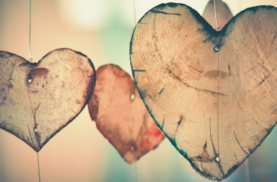 I just want to thank everyone for being so nice. I couldn't have received better care and attention when I needed it and a respect for my peace and quiet. Thank you all so much again, for a wonderful experience! P.S. I guess I do have something more to say. I loved the little organic soaps and shampoos. I have a problem with migraines and heavily perfumed soaps, shampoos, even towels and bedding, can cause me problems. The light scents caused no problems whatsoever.